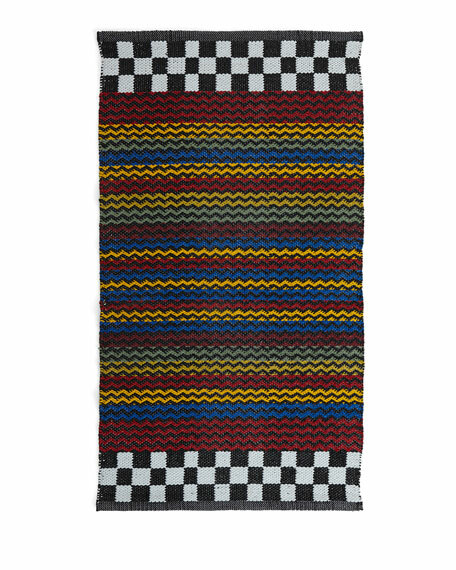 MacKenzie-Childs Kasbah Stripe Indoor/Outdoor Rug/Mat, 2' x 3'4"
Handcrafted transitional rug may be used indoors and outdoors. Made of durable woven vinyl. Care: Wipe clean with warm water and light soap. Avoid extended exposure to direct to sunlight. We recommend using an anti-slip pad (not included).